Employee engagement is a very abstract concept. It is defined as the “emotional connect” that an employee feels towards its organization. It naturally varies from person to person. However, reports and statistics reveal some common drivers of employee engagement. And Employers must keep themselves updated on these employee engagement trends and statistics. We live in a world where trends change in the blink of an eye. A practice that is working absolutely fine today might not be applicable tomorrow. Same goes for employee engagement. With every new generation in the workforce, employee engagement trends change drastically. Here is a list of 10 Employee engagement trends for the coming year. Following these will help you build a happier, productive and engaged workforce. Embracing flexibility will become the highlight in the employee engagement space in 2019. Seeking work-life balance is not a new concept, but the desire to actually meet it is much higher now. Most job functions don’t require employees to physically be at work every day. And the new age employees are taking full advantage of it. Constructive policies at work such as work-from-home options, flexible office timings, remote working options only go to prove this point right. This is, in fact, a very cost-friendly yet extremely effective employee engagement trend. It is a path that companies are ought to take. Technology-enabled tools will continue to make noise in 2019. Technology has already emerged in every facet of human resource management.From Employee benefits platforms, rewards and recognition tools to performance management tools to feedback tools. Technology has made it easier for organizations to deliver better and quicker results. These tools are a win-win proposition for both employers and employees. The reason for their increasing popularity is the efficiency and user-friendliness. It helps in the smooth running of the management. It minimises the chances of human errors and misunderstanding. Investing in the right tools is a step that every organization must take. They will offer you credible insights on levels of engagement. Technology will definitely become a bigger part of the picture in employee engagement. Blending the technical prowess with a compassionate approach will become extremely important in 2019. The World is advancing digitally at an unbelievable pace. But people still inherently seek compassion, appreciation and recognition. Emotional intelligence and technology are the most important aspects of any business today. And if you can bring them together it would create wonders in the corporate scenario. Millennial employees seek a greater sense of belongingness to their organization. They want to feel valued and recognized. A good company culture coupled with compassionate leaders offer the ultimate job satisfaction. Hence, embrace technology by all means but do not eliminate the need to form better bonds with employees. Employee benefits must evolve from traditional ones to more creative ones. Millennials already form the largest section of the workforce. They will soon form half of the workforce in the next one year and three fourth by 2030. And they will be followed by Gen Zers (who will be even harder to impress and retain!). A watch on 10 years of tenure or a turkey on holiday season just won’t work anymore. The talent acquisition system is changing at a stunning rate. The number of companies is increasing and economic stability has become a reality. Companies are now competing among one another to attract the best talent. The job profile including the perks/ benefits offered plays an important role. Millennials and Gen Xers put special emphasis on the job package. They prefer unique, personalized and thoughtful employee benefits and perks. They also love flexible choices. 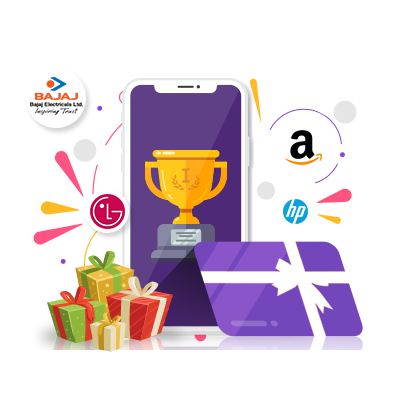 Most companies now adopt a point-based rewarding system for gifting and rewarding employees. 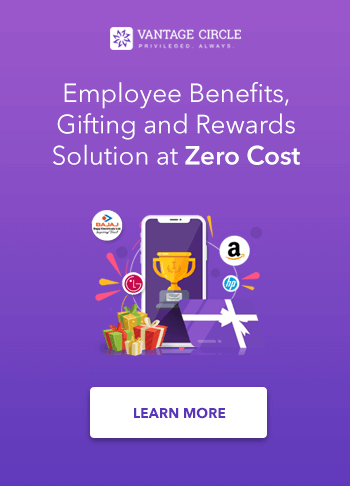 Here, employees are part of a rewards platform where employers can allot points. They can redeem these points earned by them and use it to get products/services of their choice. Free snacks, Napping rooms, Free breakfast, paid holiday, Paid fitness memberships, vacation time etc. Building a global working environment is the need of the hour. To do so, diversity and inclusion must prevail. When people from different parts, ethnicities, tradition and social structure come together, they bring new and unique ideas to the table. They offer a fresh perspective to matters and more ways of problem-solving. And the combined result is a much-needed global outlook to matters in hand. When you have a diverse, fair and just culture, it results in a more innovative, creative and engaged workforce. To learn more about the advantages of Diversity and Inclusion at work click here. Including diversity as a part of a broader employee engagement strategy a necessity. In 2019, companies must give more prominence diversity and inclusion. In the past few decades, the role and position of women in society have changed radically. Women literacy rates have shot up, they are gaining more degrees than men and form a huge part of the workforce. Despite these incredible advances, women still have to face a lot of challenges. From sexual harassment, pay parity, lack of security to gender biases and pregnancy discrimination. The list just goes on. These issues are so prevalent that women often consider them as accepted norms. These hurdles create mental disturbances and personal crisis. It also limits their professional growth trajectory. Thankfully, movements like #Metoo and #TimesUp created a steer on social media. Women are now standing up against the injustices held against them in the workplaces. Finally, they are taking a stance and sharing their stories. Hopefully, 2019 will see more and more constructive steps taken in order to mitigate these challenges. Creating a safer work environment will become a prime agenda for companies in 2019. Today’s employees seek career progression more than anything. They want to be in a job that helps them grow as an individual, personally as well as professionally. They want to progressively shape their careers with every job-role they play. Therefore, facilitating career growth in the job will become one of the top-seeking employee engagement trends in 2019. The Gen Xers and Gen Zers in the workforce would never consider a place where growth is stagnant. To retain them, organizations must foster an environment where they can learn, grow and advance. Companies should invest more in learning and development programs and proper mentoring programs. Additionally, within the organization growth should be visible and consistent. You should make Promotion and recognition practice a frequent, timely and fair affair. More and more companies are taking up wellness initiatives for its employees. 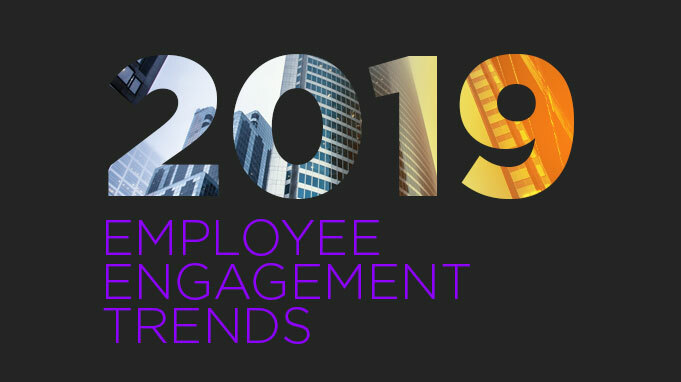 2019 will only take this employee engagement trend further. “A healthy mind resides in a healthy body”. Similarly, a healthy individual outperforms others.Health has a direct correlation with the productivity and performance level of employees. Hence, the bottom line of the company. In 2019, a lot of focus will be given to mental health and creating a stress-free work environment. Poor mental health is one of the biggest issues in the workplace today. It causes a loss of over 70 million working days every year. The top five stress symptoms are fatigue; sleeplessness, aches and pains, anxiety and weight gain. Additionally, surveys and case studies have also revealed some very appalling data. Mental health of employees is a lot worse than you may think. Good news is it brought with it the wind of change and awareness. As a result, people are now becoming more aware and concerned about taking care of their mental well being. The stigma associated with mental health is also slowly fading away. Employers and managers can play a special role in supporting mental health in the workplace. The aim should be to address the issue, create awareness, identify the factors triggering stress and taking the necessary steps to create a healthier work environment. Interesting and Challenging work is one of the long-lasting motivators for employees. Your employees might continue to work in absence of interesting work, but they will definitely not put their heart and soul into it. This phenomenon is more prevalent in the case of GenX and GenZ employees. They are characterized as critical thinkers and challenger-seekers. So, problem-solving is in their inherent nature. Hence, creating interesting and challenging work will be an Employee engagement trend that every company must acknowledge. Employers and managers can play a special role here. Good performance management system, welcoming suggestions and setting goals are some ways to do so. Consequently, it will attract the right talent as well as retain employees for the long run.